The Future Air True Low Air Mattress System by Drive Medical is one of the most advanced Low Air Loss Mattress Systems with it being capable of delivering a maximum air flow of 1300 liters per minute. The Mattress System's immersion and envelopment therapies allow for a better and more proper treatment of skin maceration, pressure, sheer, and friction. The unit also has a zoned therapy allowing for three zones on the mattress to redistribute pressure around the bones for a more comfortable feel. The Future Air True Low Air Loss Mattress System is able to automatically adjust the pressure when a user has the head of the bed in a elevated position to sit up. 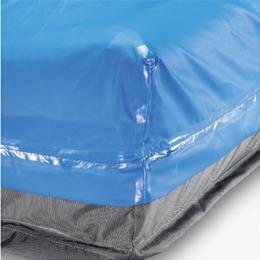 The segmented 10" side bolsters allow for a safe and easy bed articulation. The unit has a 3 minute lockout panel which prevents any accidental changes and even a max firm mode to help caregivers provide easier and better assistance. 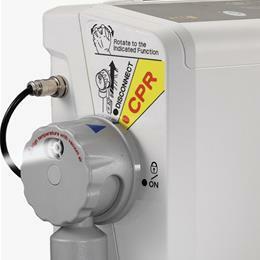 The quick connector is able to auto detect on/off and smooths the CPR deflation. The Future Air True Low Air Mattress System provides therapies against many skin conditions and is ideal for people who need support. True low air loss, immersion and envelopment therapies to optimally manage skin maceration, pressure, shear and friction. Auto-tuning mode for smart system setup. Automatic Fowler Boost provides additional support to the patient in upright position. 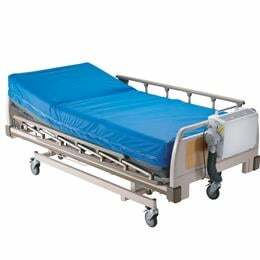 Segmented side bolsters allow for safe and easy bed frame articulation. 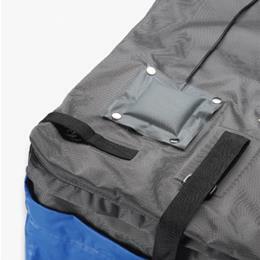 2" foam base pocket provides additional safety to patients. 10" side bolster provides safety support. 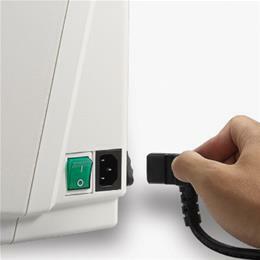 Auto 3-minute panel lockout prevents accidental setting change. Max Firm mode helps facilitate nursing care. Quick Connector auto-detects ON/OFF and facilitates CPR deflation. Emergency CPR deflation through quick connector within 12 seconds. 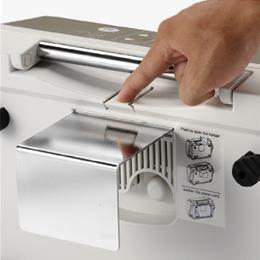 Storage vacuum mode for quick storage within 5 minutes. 3 differential pressure zones for head body and foot sections to provide customized pressure redistribution. Power failure alarm to remind caregiver when power supply is interrupted. Ease of use, ergonomic user interface design. 35.5" x 79" x 10"